Living life as a single senior:? Find out how to plan for your future. Dig through your support system. Typically, a solo ager’s spouse would be the natural option for guardianship and to make critical decisions pertaining to medical care; however, it’s beneficial to have at least one and preferably two younger alternative options. Give some thought to brothers or sisters and their children, close friends, and neighbors, taking into account whether or not each candidate holds comparable values and is also someone you are able to fully trust to make decisions based on your wishes. Hire a professional guardian. 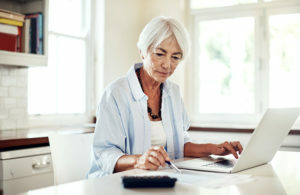 Professional guardians, also called private guardians or professional fiduciaries, are getting to be more popular than ever for solo agers. If thinking about this choice, it’s vital that you interview several candidates to make sure they will have the required experience and knowledge, and don’t hesitate to ask for references. Check with your attorney for recommendations, or the National Guardianship Association or Professional Fiduciary Association in your state. Accept a court-appointed guardian. If a solo ager has not yet designated a guardian and is suddenly unable to make care-related and/or financial decisions, a probate court will designate a guardian to manage his or her affairs. How much time have you been in practice? Are you certified by the National Guardian Association? What will be the succession plan if you predecease me? What is your knowledge of the specific medical ailments I’m facing? What are your fees, and how often will I be billed? As soon as your guardian option has been determined, ensure your attorney updates your existing (or creates a brand new) durable power of attorney or advance medical care directive, will, and durable power of attorney for finances. To get more help in planning for long-term care needs, get in touch with the Portage home care professionals at Home Sweet Home In-Home Care. We’re able to partner with seniors to produce a plan of care to ensure needs are fully met now and can carry on being met effectively as needs change in the years to come, always with respect with each individual’s wishes. Contact us at (866) 229-2505 to learn more.